20.00 - Music concert headlined by Thandiswa Mazwai, ticket @ R70. 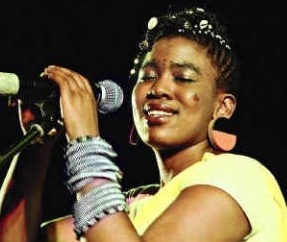 Since her Bongo Maffin days, Thandiswa Mazwai has been bringing Xhosa rythm to the stage. Book your seat to come and listen to this star’s upbeat Mbaqanga, a touch of reggae, thumping Kwaito, funk and Jazz music. 14.00 - 15.00 - Brave Arts Movement presents Woza Albert! by Percy Mtwa, Mbongeni Ngema and Barney Simon and directed by Bongani Dube.